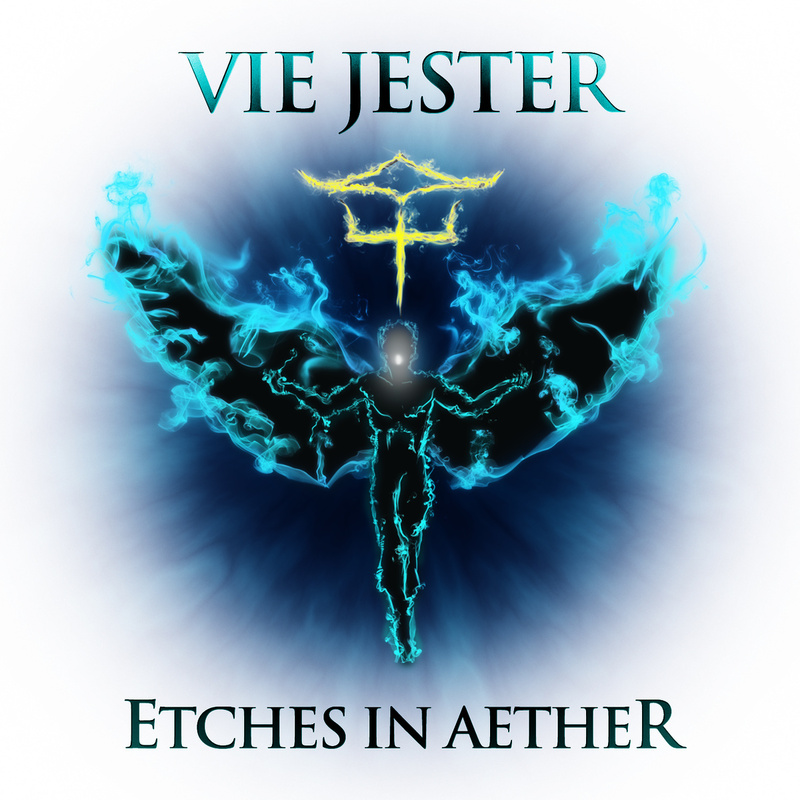 This week, I got the privilege to review the new EP from Vie Jester, called Etches in Aether. Vie Jester is an alt-metal band from Los Angeles – but they have so many musical elements and influences far outside that genre as well, that one genre doesn’t really quite fit. This is the kind of thing that we love here at Music Unlabeled. What struck me about Etches in Aether were the instrumentals. It’s not a few guitar chords and drumlins – it’s so far beyond that, that I have a hard time trying to describe it. They use their instruments in ways that are out of the box to create music that bring their songs to a totally new level. Not only that, but their songs are so beautifully arranged that you can hear every different element in the songs. The vocals are amazing. Backing vocals to lead, every note is right on the money, flowing along to the music absolutely perfectly. The lyrics fit in with every song, and not one word seemed out of place. “Hollow Graffiti” was one of my favorites on the album. It’s got a unique sound, combined with amazing vocals and lyrics. It’s easy for you to get lost in it and jam out to it. One mistake that new bands make is accidentally making their songs sound exactly the same – but that’s not the case with Vie Jester. Each song stands out on their own, totally separate from the others. Yet they all have everything that make Vie Jester great as a band. My only criticism is that one or two songs on the album dragged a teeny tiny bit. But that didn’t make them boring, or take away from the experience at all – most of the time I was so into the song that I didn’t really notice or care. Etches in Aether is only 5 songs long, but you feel like you’ve gotten a whole concert experience by the end of it. 5/5 – and I totally recommend that you go buy Etches in Aether from Bandcamp or iTunes. Posted on February 20, 2015 by Anna FairPosted in UncategorizedTagged album review, EP, Etches in Aether, new album, new band, new EP, new music, Vie Jester.